Stem cell treatment is the possible solution for many of the eye problems; may it be glaucoma, retinitis pigmentosa or age related macular degeneration Treatment. Did you ever know that every time we blink, we damage our eye! Yes, that’s the truth! A normal human being blinks on an average 12 times a minute; and with every blink the surface of our eye is damaged. Started getting restless? Don’t worry; body has taken care of every minute detail while programming us! Some magical cells are residing inside the surface of our eye, curing it from day to day damage, known to be the stem cells. Are you eager to know how? In order to know further about the stem cell treatment options, it is very important to understand our visual mechanism. The eye is a central organ, allowing us to visualize the world in its three dimensional form. Mechanically, different cells of the eye such as epithelial cells, photoreceptor cells work in synchronization to allow us to collect the information from our environment and pass on to the brain. The central processing organ of the body, the brain decodes the information in order to allow us to visualize the object in its three dimensional form. 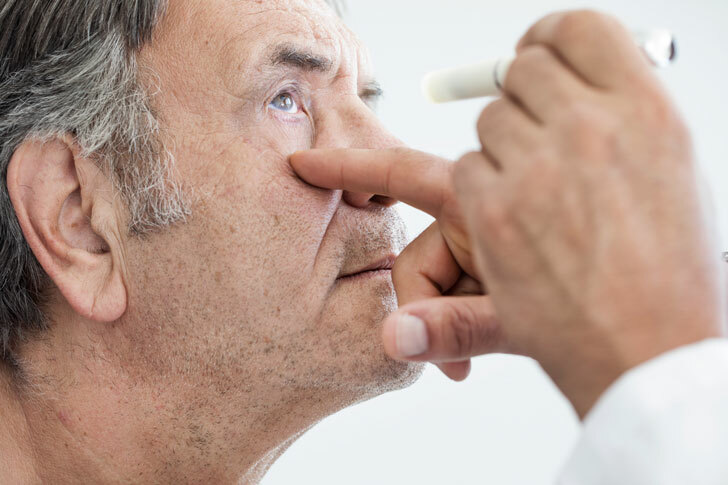 However in severe medical conditions, one of the many types of cells get damaged or infected due to which the eye is not able to work normally, leading to blurry or spotty vision! In today’s world, many people are out there, suffering from partial or complete blindness since decades. Almost 90% among you fear of losing sight at any point of time. In the ancient days, the problem of vision loss was equated to the growing age and hence was helplessly ignored! However, today with the help of modern medical science, it is possible to control lot of eye problems, which are progressive and devastating on its own. More precisely, stem cell treatment is the possible solution for many of the eye problems; may it be glaucoma, retinitis pigmentosa or age related macular degeneration Treatment. Stem cells are the naïve cells present in every mature organs of the body. They remain dormant throughout the life of the human being. When the organ faces injury, series of signals are being produced in response to it, to activate stem cells. Stem cells once activated migrate at the site of injury; secrete cytokines and growth factors to promote rapid healing. Being the youngest cells of the body, they get potentially differentiated into required tissue specific cells, to enhance healthy regeneration of the damaged or weaker tissue; as in case of eye, limbus stem cells help in recovering them from routine damage. However, in severe progressive eye conditions, the additional requirement of stem cell increases and hence extra quota of supportive stem cells can be beneficial to speed up the process. Due to technical advancements, it is now possible to extract stem cells from other sources of your own body such as bone marrow or adipose tissues, enrich them in the clean environment and implant back into the body at the site of injury; wherein they get differentiated to the required tissue specific cells. Since your own body’s cells are used, they will not create any harm to the body and are completely safe. Thus, although, more and more research in on the way leading to improvements in terms of faster recovery; stem cell treatment has so far proven to be the best existed alternative to eye operation, eye transplants or blindness!